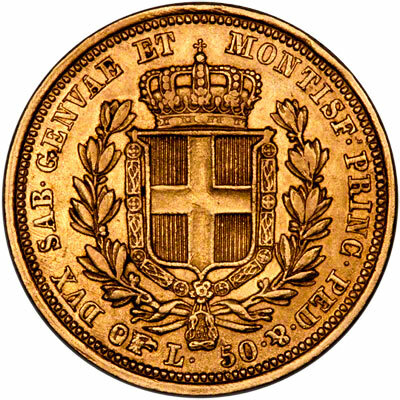 Sardinia was under the rule of the House of Savoy from 1720, and eventually became the core of the unified Italian state. 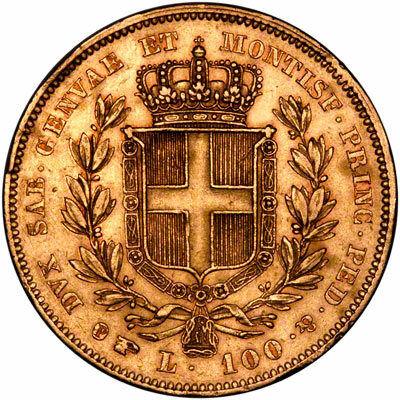 The coin denomination used by Sardinia include dopia (plural doppie), doppieta (plural doppiette), zecchino, (plural zecchini), and lira (plural lire). 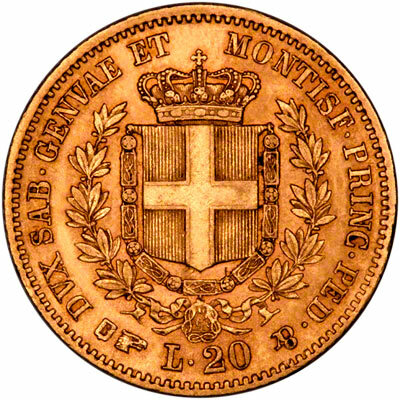 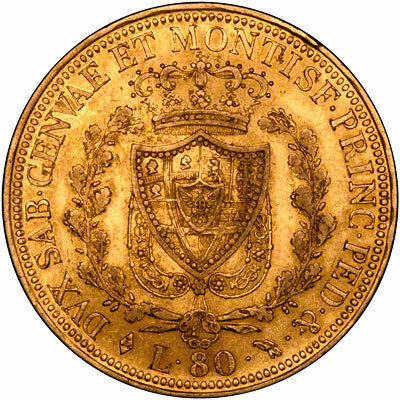 Lire were introduced as early as 1758 in Genoa, and were eventually also issued by a number of other states including Sardinia. 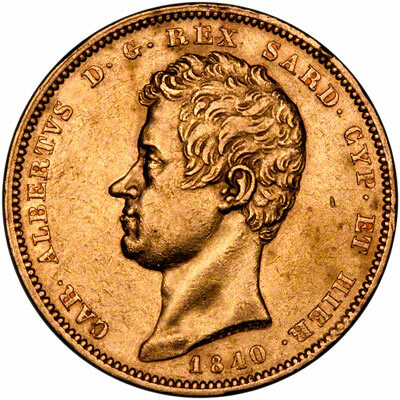 Lira was the name chosen for the new coinage of the kingdom starting in 1861. 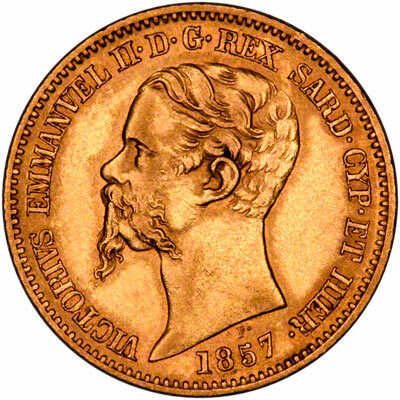 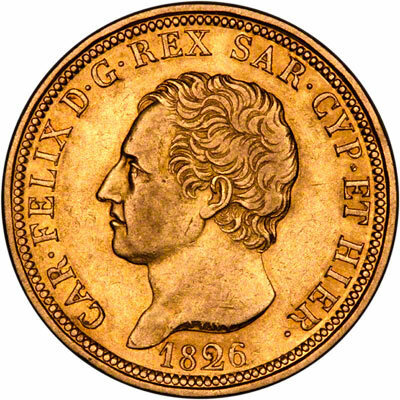 The most readily available of the modern Italian gold coins are the 20 Lire of Victor Emanuel II. 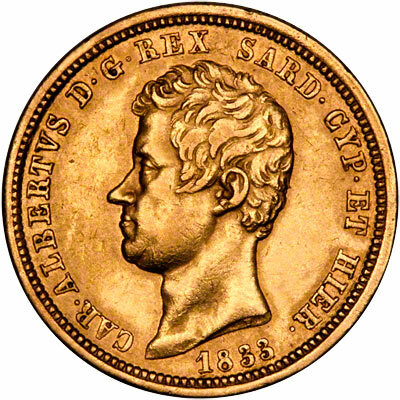 For silver and base metal coins of Sardinia, please look at our original Chard Coins website.